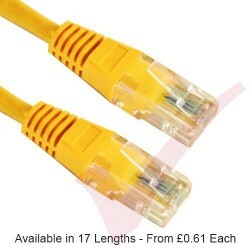 Cat5e Patch Cables There are 96 products. These Category5e UL Certified 100% Cu Bare Copper (7/0.2) Patch Cables have a PVC outer sheath (jacket) and twisted stranded cores providing highly flexible Cables for a wide variety of RJ45 installations. Its injection flush moulded low profile boot with strain relief, make them ideal Cables for all Gigabit patching from the network core and out to the edge. The 24Awg High Grade construction provides an extremely robust and versatile product for use across an array of IT technologies including Power Over Ethernet Switching, Wi-Fi AP's, CCTV and Server/PC hardware. These Category5e UL Certified 100% copper Patch Cables have a LSZH outer sheath (jacket) and twisted stranded cores providing highly flexible cables for a wide variety of RJ45 installations. Its blade style boot with latch/clip protection, makes it an ideal choice for high density patching with the added benefit of plastic strain relief to avoid too much stress being applied to the cable. Short 15cm and 20cm category 5e certified 100% copper patch leads have a LSZH outer sheath and twisted stranded cores providing easy 1U & 2U patching of switch port to patch panel. Its flush style boot makes it an ideal choice for high density and accurate patching, resulting in a significant cable management improvement and no need for additional expense installing extra cable management products. 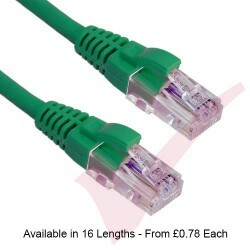 Supplied in packs of 24 and available in 10 colours from stock for next day delivery. These Category5e UL Certified 100% Cu Bare Copper (7/0.2) patch cables have a PVC outer sheath (jacket) and twisted stranded cores providing a highly flexible cable for a wide variety of RJ45 installations. Its injection flush moulded low profile boot with strain relief, make ideal cables for all Gigabit patching from the network core and out to the edge. The 26Awg High Grade construction provides an extremely robust and versatile product for use across an array of IT technologies including Power Over Ethernet Switching, WiFi AP's, CCTV and Server/PC hardware. These Category5e UL Certified 100% copper patch cables have a LSZH outer sheath (jacket) and twisted stranded cores providing a highly flexible cable for a wide variety of RJ45 installations. It's bubble boot with strain relief make ideal cables for high density patching by protecting/covering the latch. These Category5e UL Certified 100% copper patch cables have a PVC outer sheath (jacket) and twisted stranded cores providing highly flexible cables for a wide variety of RJ45 installations. It's injection flush moulded boot with strain relief makes it an ideal cable for high density patching scenario's. These intelligent Patchsee Category5e UL Certified 100% copper patch cables are available as UTP/PVC and FTP/LSZH outer sheath (jacket) and twisted stranded cores providing strong but highly flexible cables for a wide variety of RJ45 installations. It's small Slimline boot make them ideal cables for high density patching scenario's. Colour code using PatchSee cable clips. 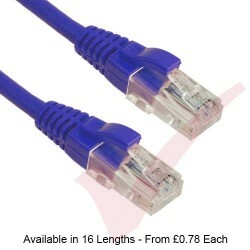 These Category5e FTP UL Certified 100% copper patch cables have a PVC outer sheath (jacket) and twisted stranded cores providing highly flexible cables for a wide variety of RJ45 installations. 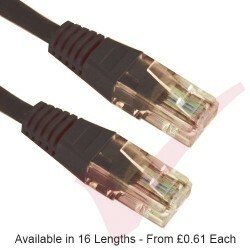 It's bubble boot with strain relief make them ideal cables for high density patching by protecting/covering the latch. These economy 26Awg Category5e UL Certified 100% copper Patch Cables have a PVC outer sheath (jacket) and twisted stranded cores providing highly flexible Cables for a wide variety of RJ45 installations. It's injection flush moulded low profile boot with strain relief, makes ideal cables for competitive budget sensitive patching scenario's and Server/PC networking. 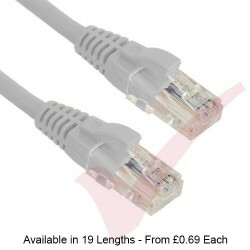 These 30AWG Category5e UL Certified 100% copper flat patch cables have a LSZH outer sheath (jacket) and unshielded 8P8C twisted stranded cores providing highly flexible flat cables for a wide variety of RJ45 installations. It's injection flush moulded boot with strain relief makes it an ideal cable for high density patching scenario's and Server/PC networking. This Category5e UL Certified 100% Cu Bare Copper patch cable has an External PE Grade outer sheath (jacket) and twisted stranded cores providing a highly flexible cable for a wide variety of external RJ45 installations. The 24Awg High Grade construction provides an extremely robust and versatile product for use across an array of IT technologies including Power Over Ethernet Switching, Wi-Fi AP's, CCTV and Server/PC hardware.